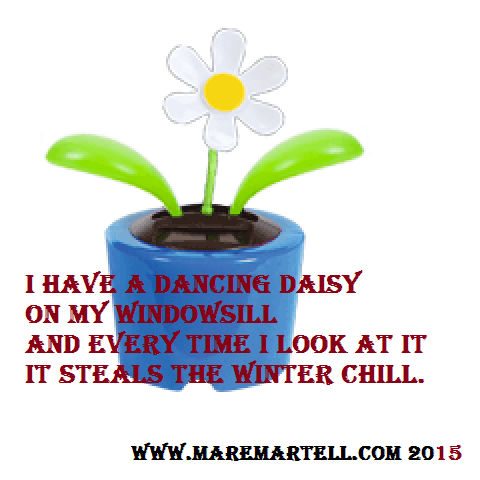 My dear friend Miss Sharon Crane gifted me with a little solar powered daisy that dances in the sunlight. I put it in the window that I stare out when I’m writing. All day long, each time the movement catches my eye, it’s made me smile. I wrote a short little poem about it. Miss Sharon Crane’s gift to me brightened my winter scenery.